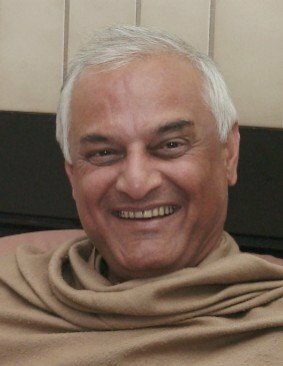 Rajiv Misra was born in Lucknow, India and met Papaji (Sri H.W.L. Poonja) in 1992. "Don't try to control the mind, that will consume all the energy. Not to drop mind. Just clear the misunderstanding. That is all. Instead of identifying with the object, identify with the source. Instead of identifying with whatever is visible, identify with the source. That is it, let the mind be there. Nobody can drop mind, that is not possible." "No technique, but surrender brings quietness of mind." "You cannot drop ego, you can not drop anything, that is do-ership. Desires are not your own, desires come from outside, this is why they keep on changing. As the situation changes, your desires changes and your thoughts are accordingly. You cannot help your own desires. So you cannot drop that which is not your own."